Catherine Rich holds an A.B. with honors from the University of California at Berkeley, a J.D. from the UCLA School of Law, and an M.A. in geography from UCLA. She is a founding director of U.C. Berkeley CalPIRG and co-founder of the UCLA Journal of Environmental Law & Policy. She is interested in understanding how animals and plants experience the assaults of the modern world. Rich, C., and T. Longcore. (eds.). 2006. Ecological consequences of artificial night lighting. Island Press, Washington, D.C.
Rich, C., and T. Longcore. 2006. Introduction. Pages 1-13 in C. Rich and T. Longcore (eds.). Ecological consequences of artificial night lighting. Island Press, Washington, D.C.
Longcore, T., and C. Rich. 2006. Synthesis. Pages 413-430 in C. Rich and T. Longcore (eds.). Ecological consequences of artificial night lighting. Island Press, Washington, D.C.
Longcore, T., and C. Rich. 2016. Ecological and organismic effects of light pollution. eLS: Citable Reviews in the Life Sciences doi: 10.1002/9780470015902.a0026328. Longcore, T., C. Rich, P. Mineau, B. MacDonald, D. Bert, L. M. Sullivan, E. Mutrie, S. A. Gauthreaux Jr., M. L. Avery, R. L. Crawford, A. M. Manville II, E. R. Travis, and D. Drake. 2013. Avian mortality at communication towers in the United States and Canada: which species, how many, and where? Biological Conservation 158:410-419. Longcore, T., C. Rich, P. Mineau, B. MacDonald, D. Bert, L. M. Sullivan, E. Mutrie, S. A. Gauthreaux Jr., M. L. Avery, R. L. Crawford, A. M. Manville II, E. R. Travis, and D. Drake 2012. An estimate of avian mortality at communication towers in the United States and Canada. PLoS ONE 7(4):e34025. Longcore, T., and C. Rich. 2010. 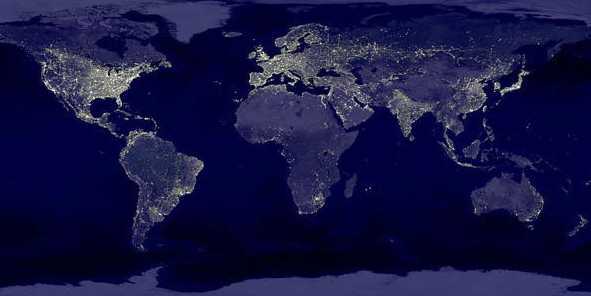 Light pollution and ecosystems. ActionBioscience.org original article. Aubrecht, C., C. Elvidge, T. Longcore, C. Rich, J. Safran, A. Strong, M. Eakin, K. E. Baugh, B. Tuttle, P. J. Hayes, A. T. Howard, and E. H. Erwin. 2008. A global inventory of development, gas flaring, and fishing proximity to coral reefs. Geocarto International 23(6):467-479. (Press release in English, Spanish, Korean). Longcore, T., C. Rich, and S. A. Gauthreaux, Jr. 2008. Height, guy wires, and steady-burning lights increase hazard of communication towers to nocturnal migrants: a review and meta-analysis. Auk 125(2):486–493. Longcore, T., and C. Rich. 2008. Invertebrate conservation at the gates of hell. Wings: Essays on Invertebrate Conservation. Longcore, T., C. Rich, and D. Müller-Schwarze. 2007. Management by assertion: beavers and songbirds at Lake Skinner (Riverside County, California). Environmental Management 39:460-471. Elvidge, C.D., P. Cinzano, J. Arvesen, P. Sutton, C. Small, R. Nemani, T. Longcore, C. Rich, J. Weeks, and S. Ebener. 2007. The Nightsat mission concept. International Journal of Remote Sensing 28(12):2645-2670. Jump, P., T. Longcore, and C. Rich. 2006. Ecology and distribution of a newly discovered population of the federally threatened Euproserpinus euterpe (Sphingidae). Journal of the Lepidopterists' Society 60(1):41-50. Longcore, T., and C. Rich. 2004. Ecological light pollution. Frontiers in Ecology and the Environment 2(4):191-198. Longcore, T., and C. Rich. 1998. 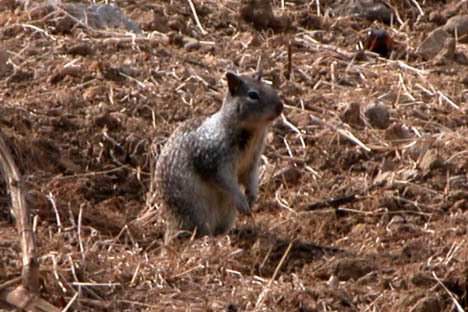 419 acres: UCLA's natural history. 1. Land use, 2. Biological homogenization, 3. Island biogeography. Poster series and display presented at California's Biodiversity Crisis: The Loss of Nature in an Urbanizing World (UCLA, October). Mattoni, R., T. Longcore, J. George and C. Rich. 1997. The Los Angeles Coastal Prairie and its vernal pools. Poster presented at 2nd Interface Between Ecology and Land Development in California (Occidental College, Los Angeles, California, April 18-19).